Transit workers in British Columbia have ratified a new five-year collective agreement with the province. 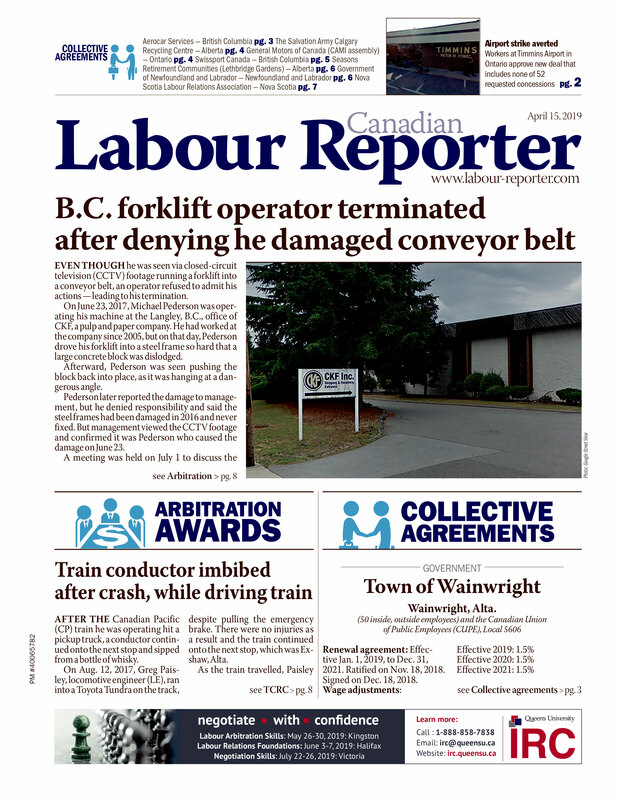 Unifor Local 333’s president Ben Williams said members voted 89 per cent in favour of the new contract with BC Transit, which runs until March 31, 2019. As part of the agreement, employees will get a skilled trades market adjustment, which translates to a $2 bump in order to put tradespersons on par with their private sector counterparts. The deal also includes a transition from the “eight-hour day” effective April 2016, meaning an employee’s pension benefits would be based on annual income, as opposed to daily wages. That amounts to a 6.6 per cent increase in pensionable income. “This collective agreement does the most to fix as many problems as possible while raising the bar for as many members as possible,” Unifor said in a letter to members urging them to vote yes for the contract. The union also said it made tremendous gains — including eliminating two-tiered wages, part-time workers and “on-call” status. The employer also agreed to introduce a “women’s advocate” position who will receive paid training and will be able to direct female employees with workplace concerns.